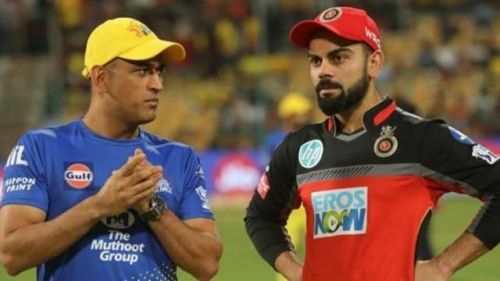 The Chennai Super Kings will host the Royal Challengers Bangalore for the opener of Vivo IPL 2019 and the atmosphere in Chennai is absolutely electric. It's expected to be a packed stadium and you can back the Chennai fans to ensure that there is constant support for those out in the middle. The world is anticipation as MS Dhoni takes on Virat Kohli in this clash. CSK have a better head-to-head record against RCB but both teams have their share of problems. RCB will not have both Nathan Coulter-Nile and Marcus Stoinis for their first three matches as they are away on national duty. CSK will be without the services of ace Proteas pace bowler Lungi Ngidi for the entire season and are yet to announce a replacement. The IPL Fantasy 2019 has also opened and is powered by Dream 11 and the game has already attracted many fantasy fans from all over the world. Let's take a look at who will be the X-Factor as far as fantasy cricket is concerned for this match. All-Rounders are the key to any Fantasy XI and every experienced fantasy manager will know it. But the teams' main all-rounders are either missing (Marcus Stoinis) or just don't offer enough value in terms of points (DJ Bravo). There is no doubt that players like Kohli, De Villiers, Rayudu and Raina will do well but they are very popular picks and almost every other person will him. To provide an X-Factor to both the match as well as from a fantasy point of view as well, Kedar Jadhav is a very good option. Jadhav is low-owned and is often overlooked in many fantasy teams but his current form is not to be ignored. He can bat at either No.4 or No.5 based on where Dhoni is batting and provides both versatility and bite to the CSK middle-order whereas RCB have to play a foreigner like Hetmyer in order to achieve this. Don't forget his Golden Arm which has flourished whenever Dhoni is behind the stumps this season too, Dhoni can use Jadhav very well and he can chip in with a crucial wicket. The MA Chidambaram Stadium is a high-scoring ground and in the only game played there last season, scores went north of 200. In such a situation, Jadhav is bound to get enough time to bat and can provide solid fantasy points as a differential. Note: This doesn't mean that you should drop Kohli, Rayudu or any of your usual players. Jadhav simply provides a differential option and X-Factor to the match.